Obviously the release cycle of lire is quite a long one. Therefore I just added a cronjob for a nightly build on one of our institute’s servers. The current SVN version of Lire will be downloaded, compiled, packaged and put online at 0:01 am CET everyday, 7 days a week. While there won’t be too much change on an everyday scale, you still can obtain a freshly compiled lire.jar for use in your project. You’ll find the link in the right column of the page or at the end of this post. Please let me know if there are any errors etc. This entry was posted in Dev, Java, Software and tagged build, jar, Lire on March 19, 2012 by Mathias Lux. Frequently asked question in the mailing list is: Lire cannot handle my images, what can I do? In most cases it turns out that Java can’t read those images and therefore the indexing routine can’t create a pixel array from the file. Java is unfortunately limited in it’s ability to handle images. But there are two basic workarounds. 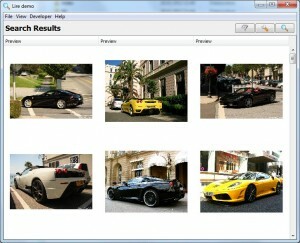 (1) You can convert all images to a format that Java can handle. Just use ImageMagick or some other great tool to batch process yout images and convert them all to RGB color JPEGs. This is a non Java approach and definitely the faster one. (2) You can circumvent the ImageIO.read(..) method by using ImageJ. In ImageJ you’ve got the ImagePlus class, which supports loading and decoding of various formats and is much more error resilient than the pure Java SDK method. Speed, however, is not increased by this approach. It’s more the other way round. Find some code example on how to do this in the wiki. This entry was posted in General, Java, Software and tagged faq, images, Java, Lire, tricks on March 8, 2012 by Mathias Lux. 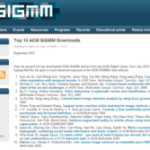 As to be found in this month’s SIGMM record, which is the electronic SIGMM newsletter, a publication about Lire is in the top 10 downloads of the ACM special interest group on multimedia for September 2011. It’s also the paper I recommend to include in references if Lire is used within a scientific publication, so my thanks also go to the authors citing and therefore pointing to our work! This entry was posted in General, Java, Software and tagged downloads, happy, Lire, sigmm on October 24, 2011 by Mathias Lux.